Before start knowing about the marketing on Twitter, let’s know some interesting facts. It was first called as “Friendstalker”-ing instead of tweeting. Iconic blue bird of Twitter named after a sports legend. A hashtag isn’t come out by Twitter, but rather Chris Messina, a lead developer at Uber, proposed this way to loot the related tweets together. The 140 character limit which is known as a beautiful constraint of Twitter which is due to mobile phones. We all are already aware of the usage of Twitter, the best source to communicate with the society easily. From the findings of analytics firm, Twitter has almost 974 million existing accounts. Yes, it acts as the best source of everyone’s feelings. If this is the case, why can’t it be the active source for marketing? Twitter is not so big for traffic when compared to Facebook, but it has several advantages. It is not only to gain followers but the best resource for getting engaged before the people become your fans or friends. You could have ignored this strategy in the past, but those who are doing business around you have already taken advantage of it and have generated millions for advertising. Now, let’s have a detailed overview of the ways to set up an active Twitter account and implementing a successful marketing strategy. The profile is an essential thing in everything from individual to social media. Yes, optimizing the profile of Twitter account can bring complete development in your business and as well maximum return on investment (ROI). Go to Profile page -> Then click edit profile button -> Upload the photo by clicking camera image -> Play with the on-screen slider until you get satisfied -> Finally click on Save Changes button to apply the changes. A single photo that ultimately includes your display picture, it may be somewhat tricky, but comprehensive planning can make this happen. The other one will be using graphics to create a background which supports your profile picture in which the display image can be a logo. Do you want to analyze the competitors on Twitter? It is very simple, and there are plenty of tools available on Twitter such as business share of voice, in which the competitor’s audience is highly engaged, competitors tweets and more which most of the small and medium businesses don’t have. So, let’s have a quick look at the strategies that are needed to research the competitors. Notice it, some of the people’s tweets stand out from others? This is because that they have used Twitter cards. Does it fuss about what is meant by Twitter cards? Let’s see. A regular tweet may always look with just info, link or something with shortened links. But using this card, you can embed a video or image into it. This not only increases the attention but as well drive a higher level of engagement. Summary cards that display title, description, and thumbnail. Usually, used to share the links. App card that can help the customers to download the app directly. As we already know, an essential thing in marketing is to catch the attention of the right person. To make it clear, it’s the point of targeting the right person while advertising. Twitter has millions of users. It’s not about the one to target all the millions, but the few who need your service. This can be done promptly by choosing the exact ad settings available. At this point, Twitter is extremely helpful for targeting the exact audience we need. Yes while creating a campaign, the process will be quite high. This shows the ‘estimated audience size’ at the right-hand side while selecting our options for our audience. Do you have website, blog, newsletter or anything where you can share your tweets? If available, make sure that you have added you Twitter profile to it. Even you can use it in your Email signature, forum signature and as well in other social media profiles. 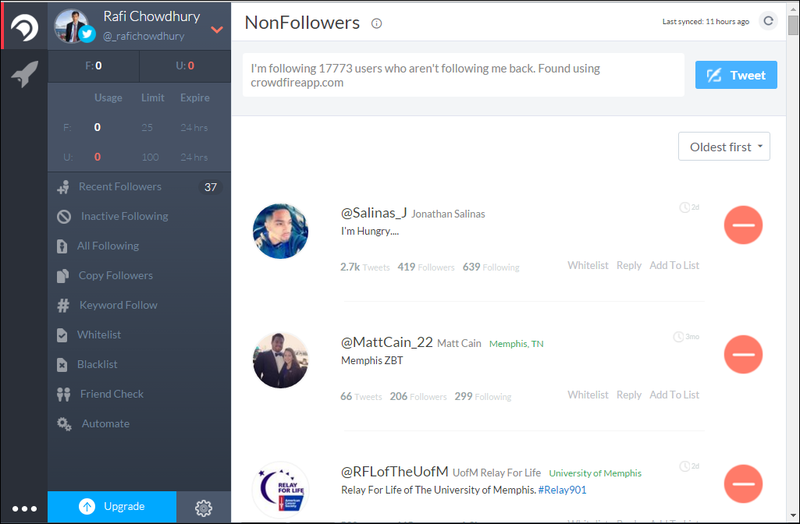 The greatest way to get followers is to make use of the blog you have. 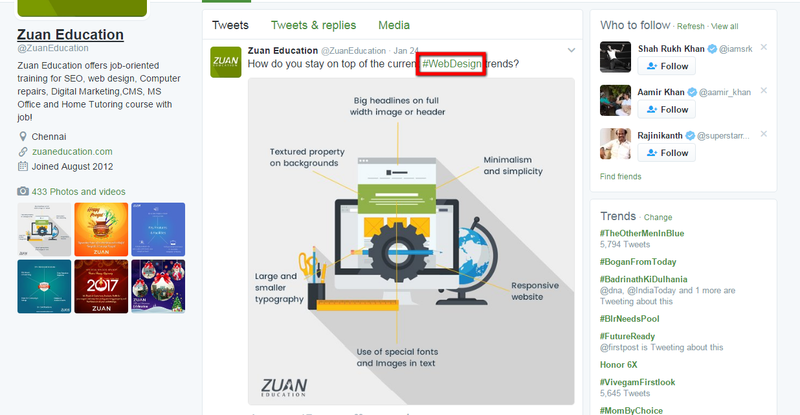 Yes, providing tweet button in your blog post may bring your social media channel to have more engagement if the content is worthy. As a bonus, you can recommend Twitter to provide a button for the tweeters to become your followers after sharing your post. 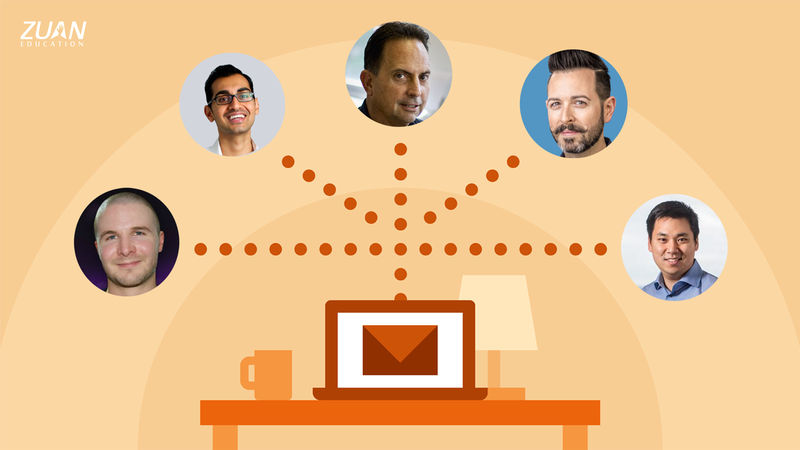 The other best practice that everyone needs to follow is to message directly. Yes after having followers, the next important step is to message directly. Just think about it, sending a direct message is like giving a handshake to someone whom you have met first. So, you should not put them off immediately in your first conversation. You should be careful in developing your relationship. For instance, you can start your conversation by thanking them for following you and ask them about what they like to learn from your Twitter. This can be very helpful in getting the accurate feedback that you need to know about which tweets make your followers get engaged. Remember, you will not be followed by anyone unless you follow one. There are several reasons behind why you need to follow others. The very first thing is it show up your activity level, and as well by following others, you will get regular exposure. The next thing is it will help in aligning your niche in the right way and as well define clearly about what your personal brand is. Be careful in following, select the great leaders in your respective industry and also be aware in not following too many people. Sometimes, you will be looked desperate if your followers are relatively small when compared to the list of people you follow. So before starting, decide whom you should follow. If you gain the relative popularity, then it is for sure your followers will gradually increase. In social media, automation can be a dirty word, but there is no bigger disgust as a Twitter account itself an automated bot. There are some forms of automation available which you can incorporate for both yourself and also for your followers. There are two different automation services that you can utilize to get a great response from fans. The first one is ‘Twitterfeed’ through which you can connect with your account to publish the tweets from your favorite blog with the help of blog’s RSS feed whenever a new post comes in. The next one will be ‘tweet old posts’ which works correctly with WordPress blogs. This plugin help by tweeting the old posts in your blog archives to your followers. 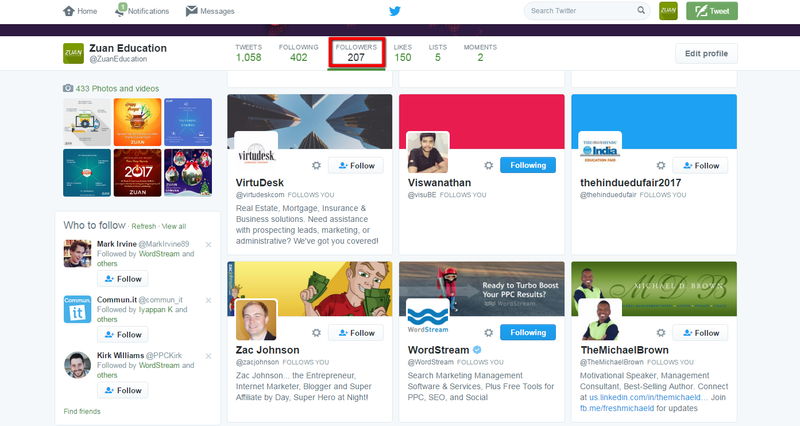 By this way, you can make your old contents visited by your new followers. It is a complicated process to precisely find the tweet which will get tons of engagement. So, if you directly create a tweet as an ad, there are lots of chances for failure of money if the ad isn’t getting the higher engagement. So, the best way here would be pre-posting it as a tweet on your page and check whether it get engagement or not. Following this simple trick may help to acquire quality visitor for a cheap cost. It even provide an option for us which is if you have already had a tweet that had gained more engagement, then you can make use of the ‘select an existing tweet’ in the campaign option. So instead of tweeting everything as an ad, be selective and reap the real awards that you can make for your business. 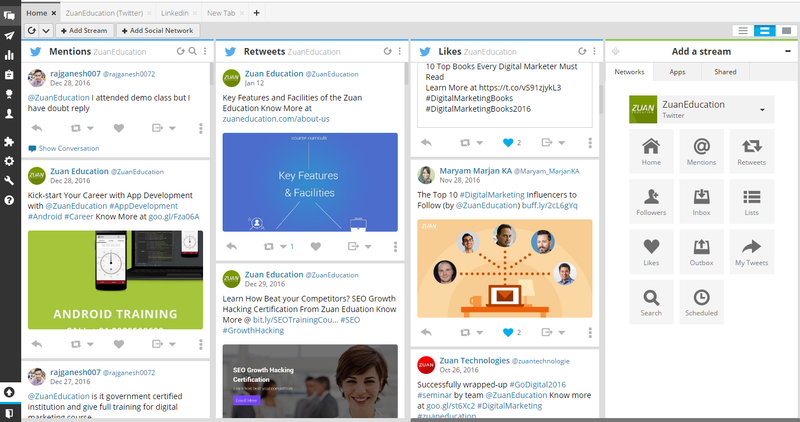 One of the best twitter management tools is Tweetdeck which help highly in listening strategy. 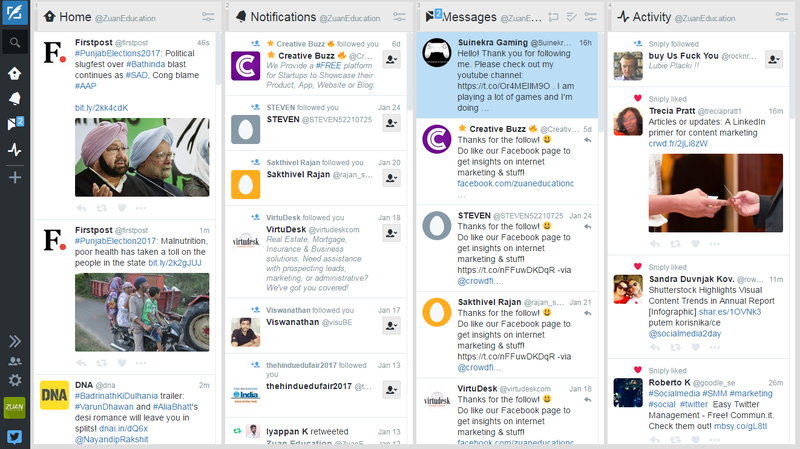 Yes, this tool assists in setting up multiple tabs and columns where you can look over DMs, searches, tweets, your special mentions and as well Twitter lists. Have a try and check the benefits that you can have the most. 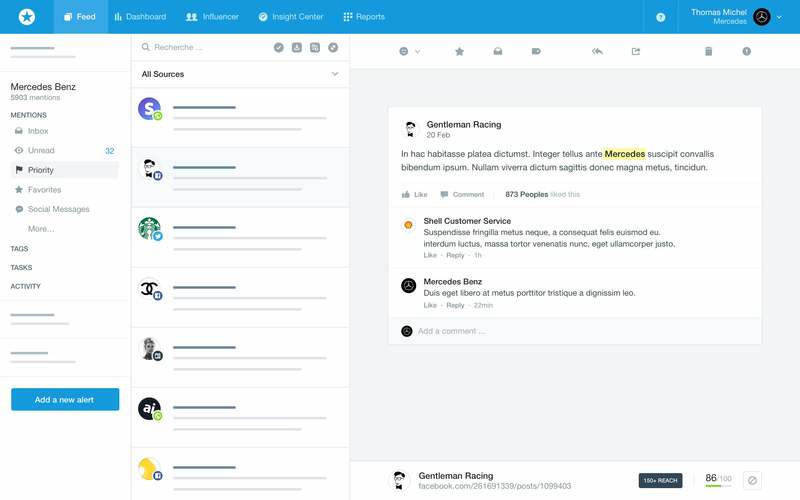 Another ORM (online reputation management) strategy that you can work out in this will be tracking the mentions of your business with the help of Hootsuite. By this way, you can get the one who is praising you and the one who are giving negative comments for your business or service and respond them immediately in a positive approach. This, in turn, will bring out positive sentiment towards your brand. This may not suit every industry but to manage your message consistently, this would be a great chance. Yes, tweeting your message with particular or trending hashtags may help your followers to attach to it easily. For instance, it just looks like #Keyword. If there is a trend or hashtag on the board, then there will be lots of possibilities for your tweet to reach anyone who is following the same topic. This acts as the most particular way to drive new traffic to your website and also new followers to your account. This acts as the great way to get involved with the community by participating in the relevant chats. You can make use of it on a regular schedule by entering it in Google Spreadsheet. By joining in these type of conversations regularly, you can increase the chance of getting targeted followers. Apart from everything, it acts as the best way to increase the traffic to your website. Thus before concluding, let’s have a quick review on some of the key Twitter tasks that we need to follow while using our Twitter account for marketing purpose. 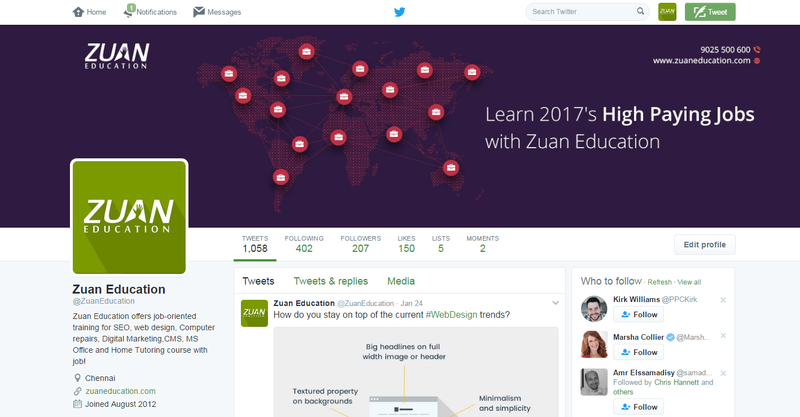 You could have understood the importance and list of extremely useful Twitter functions that every marketer should make use of it. 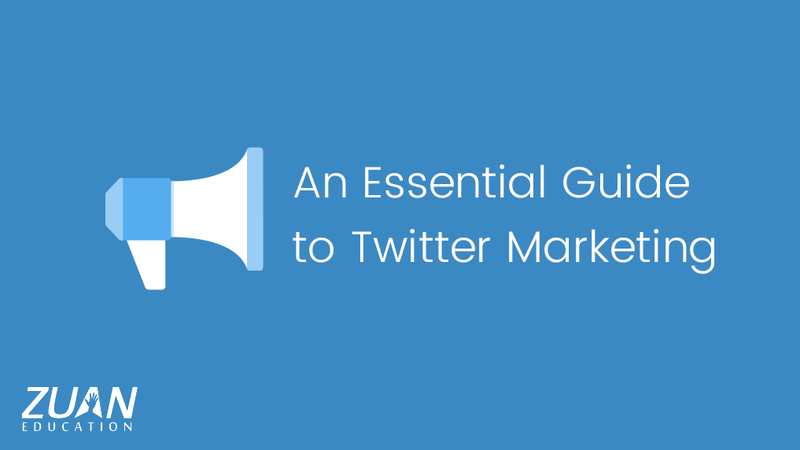 You could have searched for lots of complete guides for Twitter marketing, but it is for sure that it will help profoundly from beginner to expert. If you have understood everything that I have mentioned, then it is for sure that you will be ready now to start your Twitter marketing from today. If you have any other suggestions or some new thing that you have learned about Twitter, please share it with us. Fantastic. A complete guide. I’m really new to this field, I was surfing internet to learn something new about the marketing in Twitter, but you have almost covered everything. Need to praise the writer. Thanks for sharing. 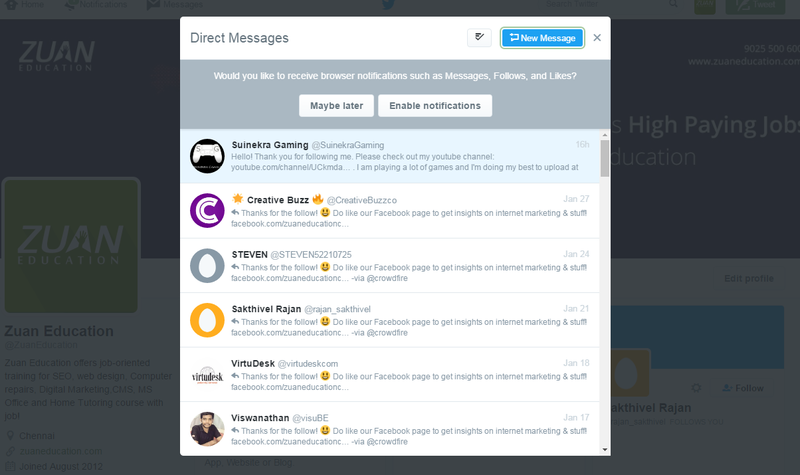 We would say, if it is to send bulk private messages, you may use DM. However you can’t always stay on top of their inbox as some people get hundreds of DMs a day. Whereas if you just want the other person to respond instantly and be more interactive, you may use @mention.